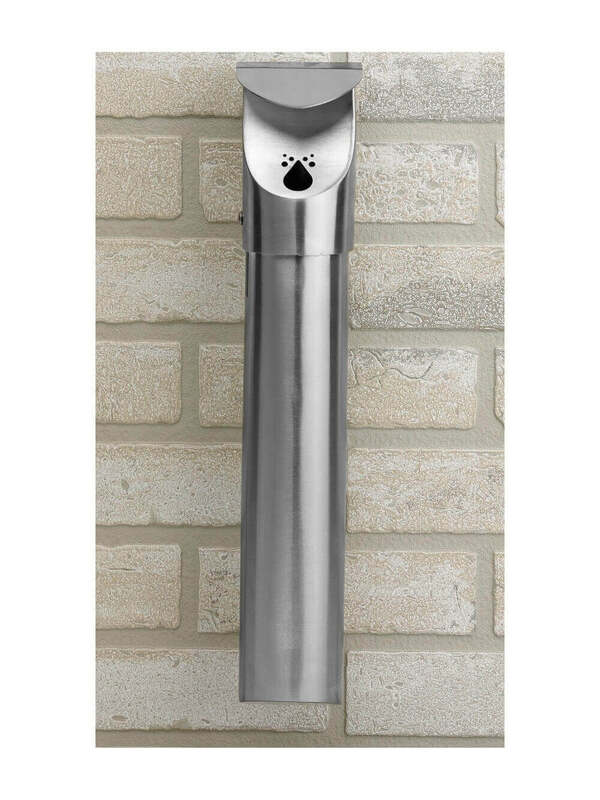 Our 17" Leafview wall-mount stainless steel cigarette disposal has a space saving bracketed design, giving the ability to position on trash cans, walls, or other flat surfaces. Made from heavy gauge 304-grade stainless steel that will resist rust through many seasons of rain and snow. 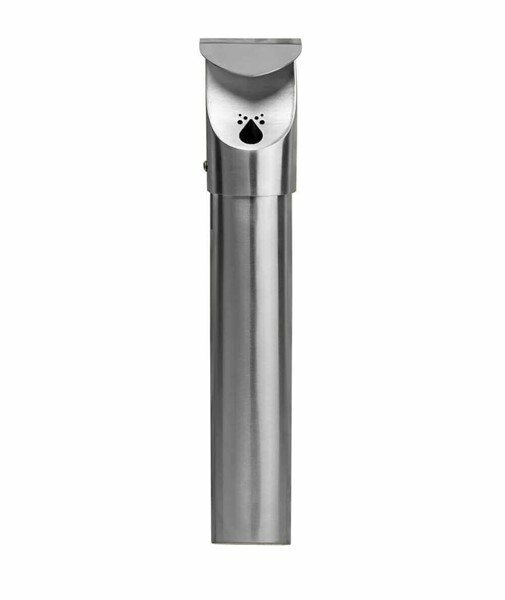 Features water guard and a unique oxygen-restricting design used to smother cigarettes quickly while preventing water from accumulating entering the tube. 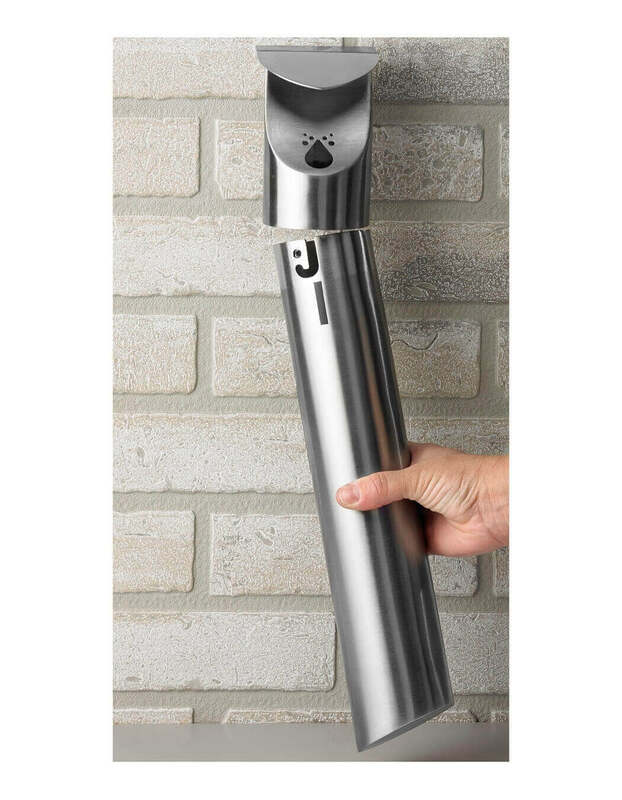 For a clean easy disposal and to deter theft, this ashtray is fitted with a hex key lock and a "J" lift twist design that keeps the unit in place. This cigarette snuffer is supported by our 1-year commercial warranty. • Dimension: L 3.5" x W 3.5" x H 17.25"